I run yoga classes in a bright and quiet studio at the back of my garden, at the Manor Lane Complementary Health Centre and at the Blackheath Conservatoire. Classes are opened to everyone with different levels and are modified according to individual needs. They are informal, friendly and fun too. Hatha Yoga combines breathing exercises, physical postures and meditation and offers many physical and mental benefits. 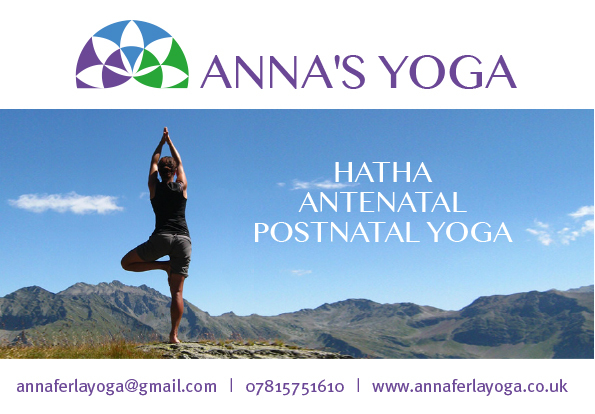 Antenatal Yoga helps to keep healthy and confident, boosts energy levels, improves postures and relieves minor ailments. Breathing techniques promote relaxation and help during labour. Postnatal Yoga helps to re-energise, rebalance emotions and build self-confidence. It strengthens the core and pelvic floor and maintains a healthy body. I have been practising yoga since 2001 and teaching since 2010. At the heart of every one of my classes are the value of awareness and mindfulness and the importance of breathing practices and physical postures, both of which play key roles in grounding, lengthening and strengthening. Through regular yoga practice we learn to observe the rhythms, patterns and habits of the body and mind. Whether during a pause between breaths or in a moment of deep focus during a balancing posture we can learn to listen again to the body’s natural music. Life in London can get on top of us sometimes and the fast pace of daily life rarely allows us to go “piano”- to slow down – while we try to climb our own personal mountains. Where I grew up in the foothills of the Alps in northern Italy, the mountains are very real and very beautiful. From hiking in my beloved mountains I learnt how to take things one step at a time as well as the importance of breathing deeply and slowly.